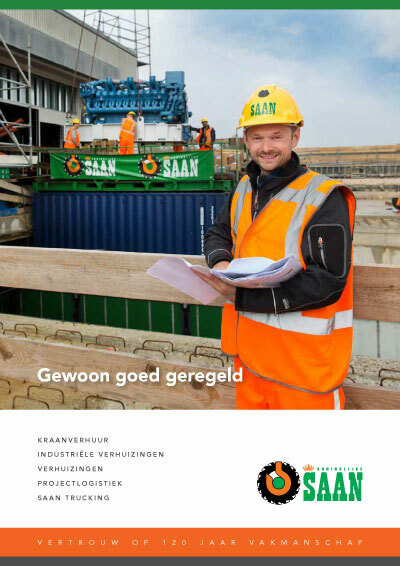 Download our Standard Terms and Conditions, Sector Terms and Conditions and Koninklijke Saan’s Cancellation Rules here. Saan’s Standard Terms and Conditions apply to all offers and all agreements concluded. Depending on the nature of the services to be provided, an appropriate set of standard terms and conditions that is always used in the relevant sector applies. If there are several types of service, then several sets of standard terms and conditions may apply. Each set of standard terms and conditions has its own liability scheme and its own terms about what is and what is not insured and who must take out which insurance. Below you will find instructions on how to determine which standard terms and conditions apply. Een overzicht van onze certificeringen op het gebied van Kwaliteit, Veiligheid, Gezondheid en Mileu vindt u op deze pagina Certificeringen.